When Danny Sniff first arrived on UGA’s campus more than 30 years ago, he drove up D.W. Brooks Drive shaking his head. “That shouldn’t be a road,” he thought. 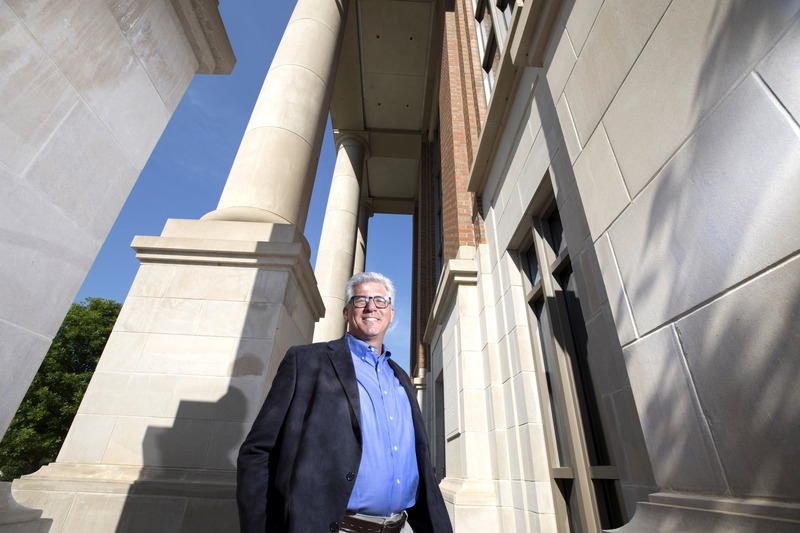 “It should be a green space.” Over the next several decades, he set to work as the campus architect, overseeing around 250 major capital projects and renovations that added about 8 million square feet in facilities and more than 50 acres of green space to the UGA campus. Although his last day as campus architect will be June 30, Sniff is not done yet. He sat down with Columns to discuss his proudest accomplishments at UGA and what he has planned for his second act. Columns: What were your favorite projects at UGA? Sniff: The projects I’m most tied to are returning Herty Field and D.W. Brooks Drive into green spaces. A campus is basically a set of buildings and a park. The space between becomes extremely important. When I first came here, campus was dominated by parking and parking lots, so I developed a master plan where we pushed the parking to the perimeter and tried to create a park-like center. One of the very first projects I worked on was the Ramsey Student Center and the Performing and Visual Arts Complex, and I also worked on the Miller Learning Center. I think they’re exemplary buildings to this day. Columns: Why are you so passionate about green spaces? Sniff: One thing American architects have given the world of architecture is the American college campus, where buildings are parallel and perpendicular to open spaces. The archetype of a college campus is like no other place. Students get out of class, meet their friends and study. They have these little gardens that are places of repose. It’s very special in the world of architecture, and I have been very fortunate to be a restorer of one of the best campuses in the country. Over the past few years, we’ve had dozens and dozens of visitors from around the world who come here and are blown away by this campus. I think we’re arguably one of the top universities for architecture and grounds in the country. We developed a master plan back in the 1990s to restore what was the quintessential American college campus, which was that green, or open, place between the buildings. Returning 50 acres of the original 600-acre campus to green space was really important for us to do. Columns: Why is historic preservation important in planning a campus layout? Sniff: First of all, preservation is important because of the legacy that we inherit: a 200-plus year history of the buildings and the grounds. We’re still using buildings that were built in 1806. So that’s an important task, to make sure that we’re respectful and honorable of what’s there. There are a lot of memories of this place that you have to respect as well. We started the preservation program on North Campus. I’m very proud of the fact that we’ve renovated almost every single building, and almost every single building we worked on, we’ve received awards or accolades from preservation societies. You have to respect what came before you; that’s what makes preservation very important. 200 years makes a lot of sense. Columns: What’s next for you? Sniff: I’ve started a little consulting company. I’ve very much planned this retirement, and I’m not afraid of the challenges of changing what I’ve been doing for so long. The university’s been fantastic to me. I went back and got the qualifications and degrees to teach, which I’ve been doing for a couple of years. And it’s just been wonderful, fantastic. I’m going to continue teaching as an adjunct for as long as they’ll have me around. I look forward to stretching my brain in different directions.